Fantastic. Dahl uses his imagination well to create the magical elements in all of his stories. He describes the things inside the chocolate factory like they are actually real things. This is one of my favourite book of all times, my favourite character is definitely Grampa Joe! 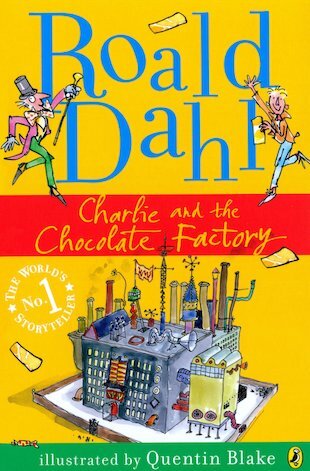 This is about a boy called Charlie who owns a chocolate factory. I love how the author makes you imagine the chocolate factory and the poems about the really horrible kids.